Finding potential patients through broadcasting social media social media was the subject of my last blog. However, once you have identified your target market, the next steps involve nurturing them into real patients. The nurturing process involves engaging the patient with information that relates to their Tweet. The more engaging the better, but what content within a Tweet fuels engagement? I recently came across a blog by Twitter. They (Twitter) conducted an experiment to identify factors that lead to a change in the number of retweets. The study involved analyzing the percentage change in the number of retweets (as it’s a measurable factor related to engagement) for over 2 million Tweets from verified Twitter accounts. The study evaluated the percentage increase in retweets when content such as hashtags, photos and videos are added to the Tweet compared to the average number of retweets that account would expect to receive. 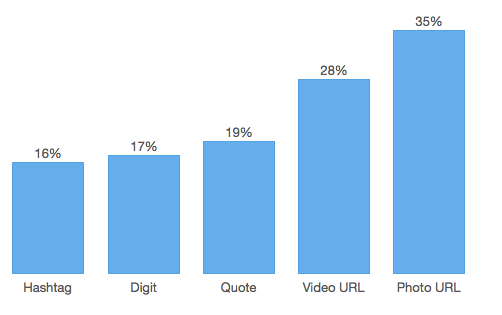 The graph below shows that adding a photo or video has the biggest impact on retweets. Ask people to retweet –“retweet”–then the retweet rate is 23x higher than the average! So, we now know about Tweet composition, the final missing link, is the actual content. Content production is a costly and a time consuming exercise. Furthermore, in case you’re thinking about adding manufacturer’s videos, remember that at this stage we’re aiming to educate rather than sell. Selling comes after you have positioned yourself as a thought leader with the consumer. In the last blog I mentioned a service called CAPTIV8 Social. This service provides an intuitive interface for searching Tweets in your area but also provides you with beautiful 3D patient education animations about everything from eye conditions through to clinical procedures and much more. The content provides an ideal way to engage your potential patient. Taking a closer look at the interface we can see that CAPTIV8 Social does all the things you need to get the most engagement out of your Tweet. The system automatically adds hashtags (see section below), video links (to the animation) and an image of the animation (to generate more interest). If you take a look at the Tweet (above) there is some clever automation here that makes life easy for anyone who is new to social media. The link to the animation is automatically posted (no copy and paste). CAPTIV8 Social automatically converts the link to your animation URL into an ow.ly URL, this has the effect of shortening its length. This is important as Twitter restricts the number of characters for any given Tweet. The hashtag is automatically added and chosen appropriately from Optimed’s own analysis of hashtags for particular topics/content. Of course, you’re free to add additional hashtags but it’s not a good idea to have more than 2-3 hashtags as it can distract the reader. CAPTIV8 Social also automatically adds the image for that animation automatically! So, the only thing staff need to do is type a few words…SIMPLE! On Twitter, the ‘#’ turns any word or group of words that directly follow it into a searchable link. This allows you to organize content and track discussion topics based on those keywords. Click on a hashtag to see all the posts that mention the subject in real time. So, if you wanted to post about the glaucoma, you would have to find an appropriate hashtag to get it into the most popular, relevant conversation – that might not simply be #glaucoma! CAPTIV8 Social automatically adds hashtags and analyzes trends so that your post will be hash-tagged to the most popular, relevant conversation to give your tweets maximum exposure. One of the effects of sharing content and replying to Tweets in your area is that you will grow the following in your Twitter account. 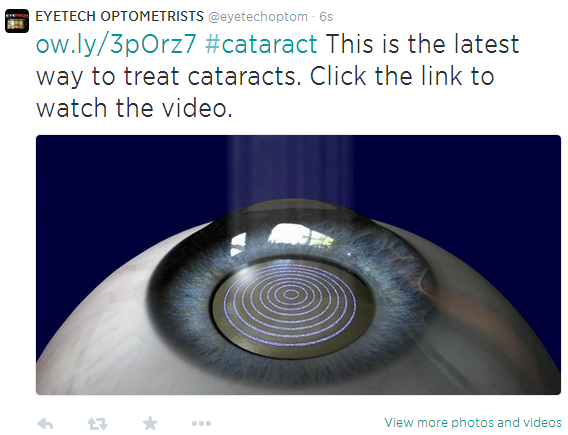 In fact, simply finding and following people in your area interested in eye-care will help increase your following. Growing your followers means that future Tweets will be visible to your followers and keeps you in their radar when they’re ready to seek any ophthalmic advice. There are additional ways of building a following. Simple things like putting social media Follow badges on your website or sending an email blast inviting your patients to Follow you will help build your followers. Although I mentioned selling is not advisable in initial conversations, I did not say you needed to remain invisible! After all, there will invariably be some people who do want to seek you out after your fabulous advice. CAPTIV8 Social provides an innovative approach to this. Firstly, every CAPTIV8 Social customer is built a fully branded online patient education centre. Basically, when the patient clicks the link to the animation in your Tweeted reply, they see the animation play on a website that has your practice’s branding, contact details and a map to show them that you’re local. CAPTIV8 Social also has links to other social media, so people viewing the animations can in turn share the content with their friends. Finally, CAPTIV8 Social builds an important call to action. Once you have shared content with a potential patient through Twitter, rather than have it play in the message that they see on Twitter, it’s far better to have the video play on a website with your branding so people know who to associate with the useful advice. However, it’s even better if there is some call to action – such as ‘book an appointment’, or ‘share this animation’. Optimed has an interesting solution to generating such a call to action. After the animation is played, a web genie displays on the branded website. The ‘Genie’ asks people to like and share the content but also asks people to request an appointment with the practice. A further feature includes an appointment request calendar which when filled in, sends an inbound email to the practice, thereby offering a slick method of converting a marketing activity into a real patient. This can be switched off although I’ve no idea why anyone would want to do that! 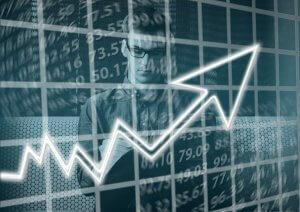 In the third blog in this series, I’ll talk about how to implement social media marketing and how to monitor success. ← Want to find Patients Looking for your Services?